Tramadol can be administered orally or parenterally, but only the oral form is available in the United States. Tramadol is not currently controlled by Drug Enforcement Agency regulations in all regions of the country, but some states are instituting regulatory control. In February 2013, New York recognized tramadol as a Schedule IV drug. Tramadol is formulated as a 50-mg unscored tablet, which can make feline dosing difficult.6 To treat cats, tramadol can be compounded as a suspension or a gelatin capsule to provide 2- to 4-mg/kg doses.5 However, compounding pharmacies function under minimal regulation and are not required to prove product efficacy or safety. Tramadol is a relatively inexpensive generic drug. A human tramadol product is available (Ultracet, janssenpharmaceuticalsinc.com) but should not be used in cats, as it contains acetaminophen. 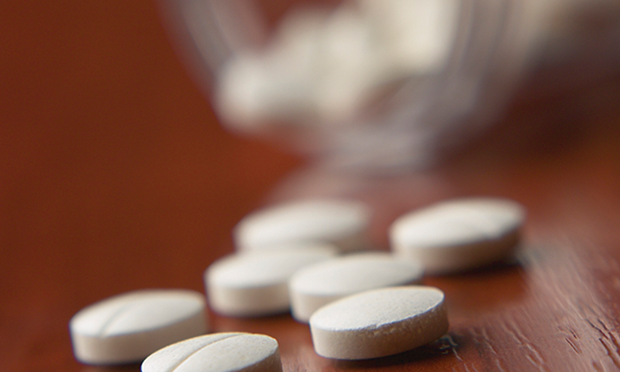 Acetaminophen is used in dogs, although it has not been FDA approved. JANE E. QUANDT, DVM, MS, DACVAA, DACVECC, is associate professor of small animal medicine at University of Georgia. Her professional interests include anesthesia for trauma and shock patients. She lectured at the NAVC Conference in 2013. Dr. Quandt completed an anesthesia residency and master’s degree at University of Minnesota and earned her DVM from Iowa State University. 1. Other drugs used to treat pain. Gaynor JS. In Gaynor JS, Muir WW III (eds): Handbook of Veterinary Pain Management, 2nd ed—St. Louis: Mosby Elsevier, 2009, pp 260-276. 2. Tramadol. Plumb DC. In Plumb DC (ed): Plumb’s Veterinary Drug Handbook, 7th ed—Ames: Wiley-Blackwell, 2011, pp 1002-1004. 3. Pharmacokinetics and antinociceptive effects of oral tramadol hydrochloride administration in greyhounds. KuKanich B, Papich MG. Am J Vet Res 72:256-262, 2011. 4. The hypoalgesic effect of tramadol in relation to CYP2D6. Poulsen L, Arendt-Nielsen L, Brøsen K, Sindrup SH. Clin Pharmacol Ther 60:636-644, 1996. 5. Effects of tramadol hydrochloride on the thermal threshold in cats. Pypendop BH, Siao KT, Ilkiw JE. Am J Vet Res 70:1465-1470, 2009. 6. Effect of orally administered tramadol alone or with intravenously administered opioid on minimum alveolar concentration of sevoflurane in cats. Ko JC, Abbo LA, Weil AB, et al. JAVMA 232:1834-1840, 2008. 7. 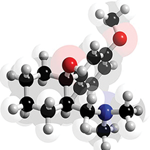 Pharmacokinetics of tramadol and the metabolite O-desmethyltramadol in dogs. KuKanich B, Papich MG. J Vet Pharmacol Ther 27:239-246, 2004. 8. Pain management in the cat. Robertson SA. In Gaynor JS, Muir WW (eds): Handbook of Veterinary Pain Management, 2nd ed—St. Louis: Mosby Elsevier, 2009, pp 415-436. 9. Evaluation of topical nalbuphine or oral tramadol as analgesics for corneal pain in dogs: A pilot study. Clark JS, Bentley E, Smith LJ. Vet Ophthalmol 14:358-364, 2011.